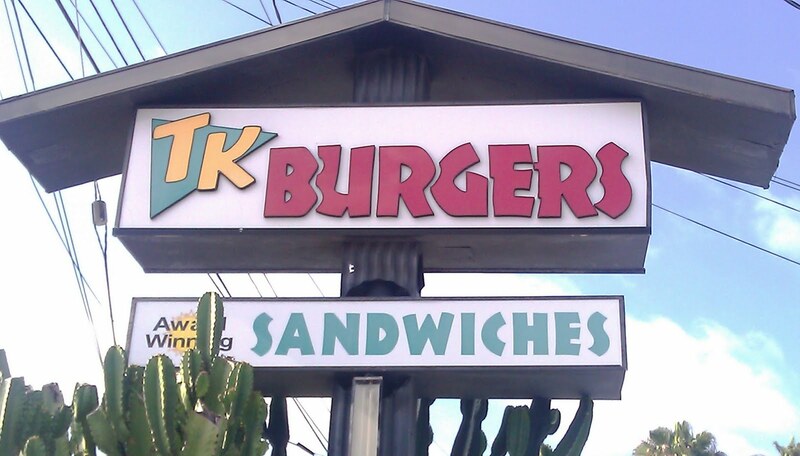 I have had very few discussions about burgers in Orange County, CA during which TK Burgers had not come up. The TK Burgers website led with "Voted Best Burgers in L.A. and Orange County." Happy Meal and I were on our way to Legoland California, so TK Burgers was on the way. At the time of this post, there were 6 locations in Orange County and 2 catering trucks. From the TK Burgers site..."We believe that Food Quality is first and foremost. At TK's, every item is always cooked to order, nothing is ever pre-cooked. Take a look for yourself, there are no warming ovens, heat lamps, or food warmers located within our stores. All of our food is health consciously prepared and char broiled. We use only the finest name brand ingredients and freshest produce available. Out meat is delivered daily, NEVER FROZEN. Our buns are custom made solely for TK Burgers, and we have an exclusivity agreement with our Baker. This is how we make the Burgers that are constantly voted number one..."
They set the bar pretty high for themselves at the surf-themed chain of burger shops. Things had slipped a little since that verbiage was published on their site. The beef now arrived every other day, and the chicken arrived frozen. The burgers were not char-broiled. They were neither charred nor were they cooked with heat from above. 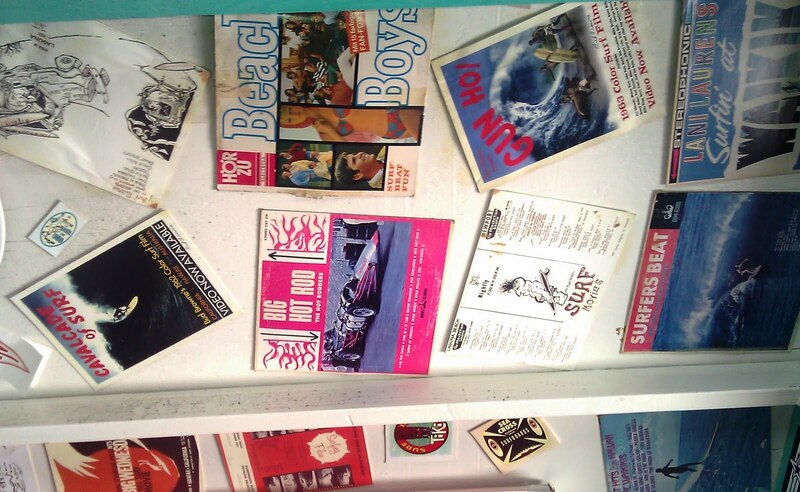 I also noted that the vinyl album jackets, which were plastered to the ceiling thoroughly pre-dated the 1986 founding date of the small restaurant chain. This anachronism made the old-timey surf vibe feel a little contrived. Happy Meal and I ordered a couple of single cheeseburgers, an order of fries, and a couple of drinks for about $13.50. Our order was ready in about ten minutes. The Beef: The burger patties were about 4 ounces, and they were fine. The patties were thin and moderately juicy. The flavor of beef was the only flavor that came through in these burger stand-style patties. This was a mild tasting Chuck with a fat content in the range of 20%. The texture was firm, and the fine grind had the bite bordering on chewy. The beef was in the same range as In 'N' Out Burger and Five Guys Burgers and Fries. The Seasoning: The interior of the pre-formed patties was not seasoned. The exterior of the burgers were heavily seasoned while cooking on the grill. The seasoning salt was applied with a heavy hand, and this was in the territory of over-seasoned. It was too salty for Happy Meal and myself. The Sear: There was no sear to speak of. The thin burgers were cooked over a hot grill, but they cooked so quickly that a sear did not have time to properly develop. The Preparation: The burgers arrived from the meat purveyor in Fullerton, CA every other day. They were pre-formed and packed quite firmly into uniform discs. The burgers were cooked on a hot gas grill to an almost chewy Well-Done. The burgers were flipped three times on the grill, which created an appealing grill pattern, but this also robbed the burgers of some of their moisture. 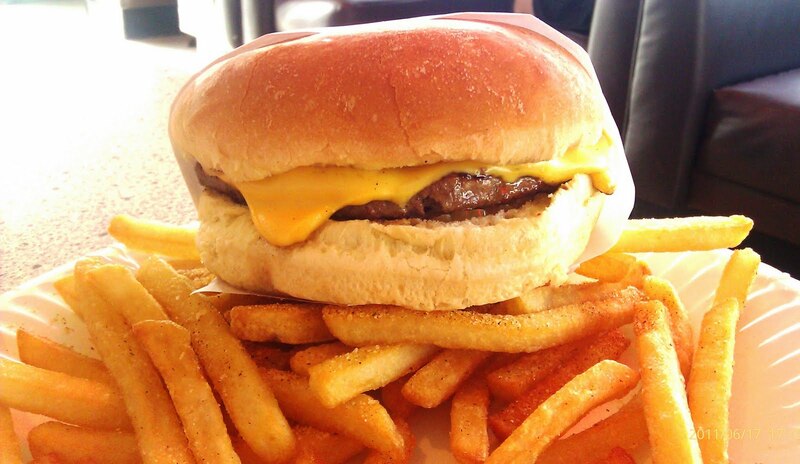 The Cheese: TK Burgers used American Cheese. This was a good choice, since it added moisture, creaminess, and a depth of flavor to the flat flavor profile of the mild Chuck. The cheese was nicely melted over the burger patty. The Bun: The bun was a proprietary-recipe, standard, non-seeded burger bun. It was moist, a little sweet, and toasted on the grill. This was an unfortunate way to toast the bun. My bun was charred in spots, and this lent some unpleasant bitterness to portions of the dish. The edges of the bun did provide a satisfying crunch. The Meat To Bun Ratio: The moist bun was perfectly matched to the thin burger patties. The Fries: The peel-off, par-cooked, previously frozen fries were cooked to a crisp, golden finish. They arrived unseasoned. A selection of salty seasoning blends were available at the counter for patrons to add to taste. The fries remained crisp throughout the entire meal. The Toppings: TK Burgers had a special sauce, which appeared to be a mixture of Thousand Island Dressing and Mayonnaise--it was mild and less cloying than the usual SoCal burger sauces. The tomato and iceberg lettuce leaf, which accompanied the cheeseburger, were both perfectly fresh. The Value: It was about $5.50 for a cheeseburger and a handful of crisp fries. The value was good at TK Burgers. 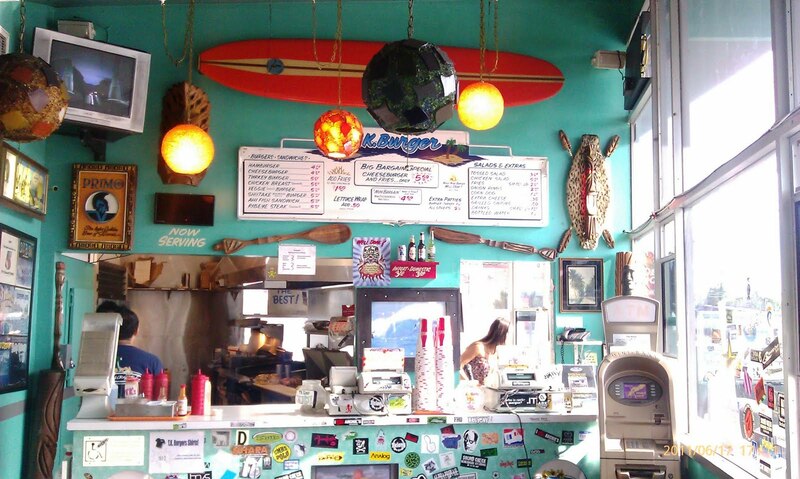 TK Burgers prepared a fairly average burger in a pleasant surf-themed surrounding. The staff was friendly, and the burgers arrived promptly. It was on par (slightly above) with other burger stands, which The BurgerBusters have encountered. TK Burgers had a strong following in Orange County, and it was a pleasant place to get a burger. It felt far less corporate and rushed than its peers. 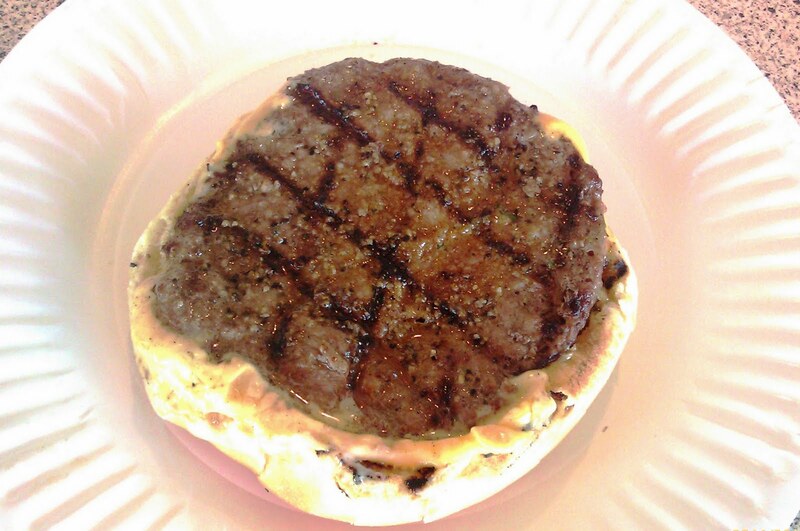 Burger Review : An average burger at a better-than-average value were had at TK Burgers.